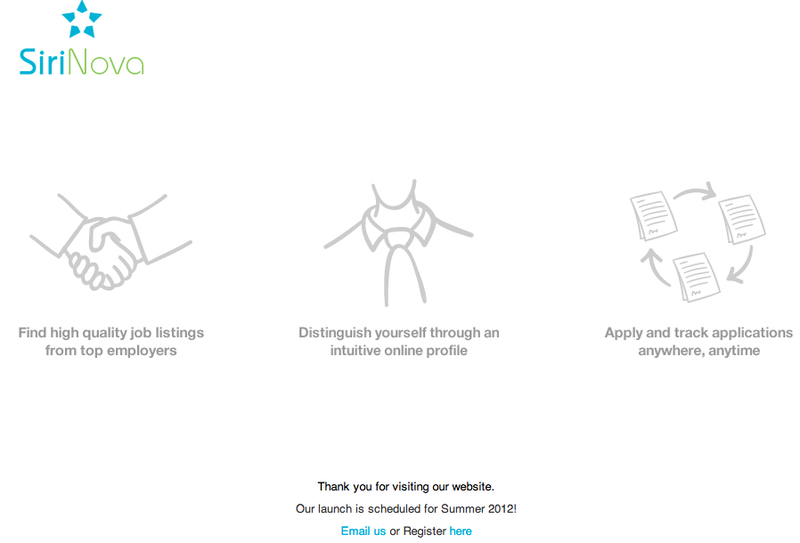 SiriNova’s online platform aims to provide innovative career solutions by enabling qualified students and professionals to find their best fit career opportunities in Vietnam and employers to find their best fit candidates globally. While our backend team are developing the platform, SiriNova team decided to conduct a pre-launch process, targeting 200 candidates and 25 employers. Our primary purpose for this phase is to share SiriNova's business idea with our personal network, get feedback to fine-tune the site, and collect resumes of interested candidates. 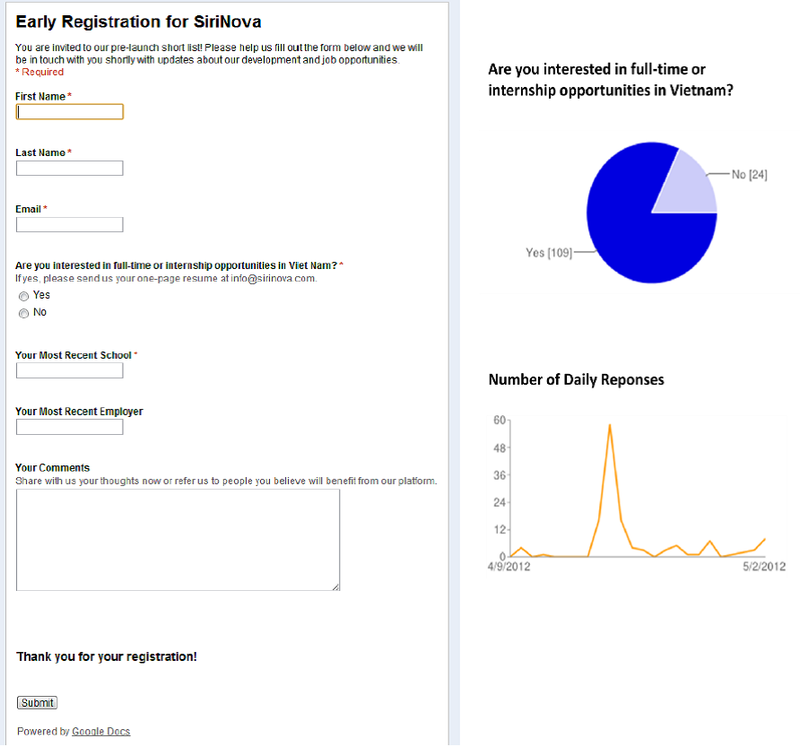 We initially designed an online survey on www.SiriNova.com but later chose to use Google Docs (Exhibit 2). The embedded survey on www.SiriNova.com may dilute our brand, and we experienced some technical glitches. After some internal debates, we decided to use a clean and temporary homepage (Exhibit 1), with a link to a Google Docs survey. The Google Docs survey allows us to efficiently manage the early registration process, and preserve the brand of SiriNova. I learned an important lesson that unless our pre-launch survey is flawless and represents our brand well, we should not put the survey on our homepage. We want users to associate our homepage with a professional yet youthful platform, and the survey does not fully reflect that brand attributes. After receiving over 100 early registrations who express strong interest in using SiriNova service, we recently conducted the "Candidate Preference Survey." (Exhibit 3). We then will conduct more in-depth interviews with selected survey respondents.